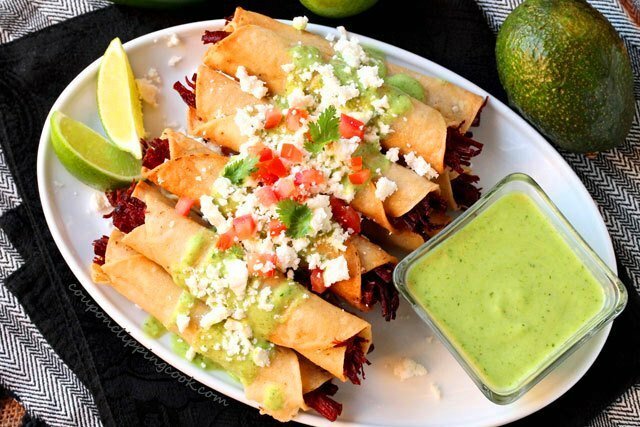 Favorite comfort food for any day of the week! 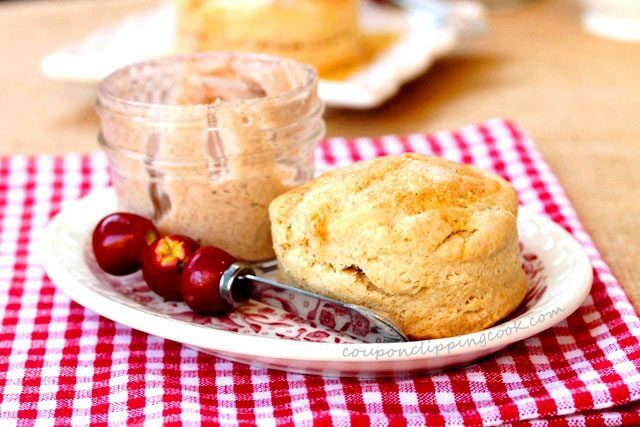 Biscuits and comfort food go hand in hand. 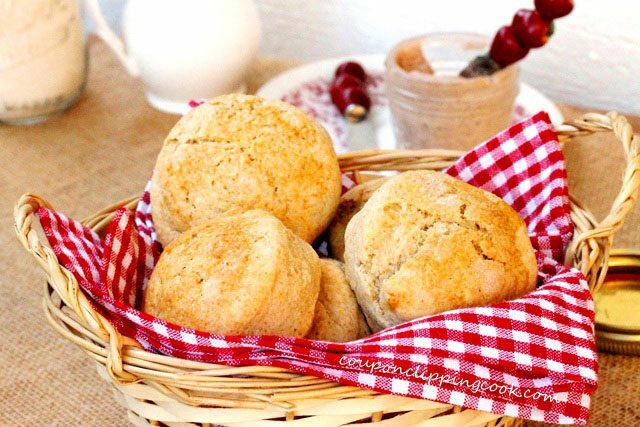 These tender flaky biscuits are made with all purpose flour and whole wheat pastry flour. 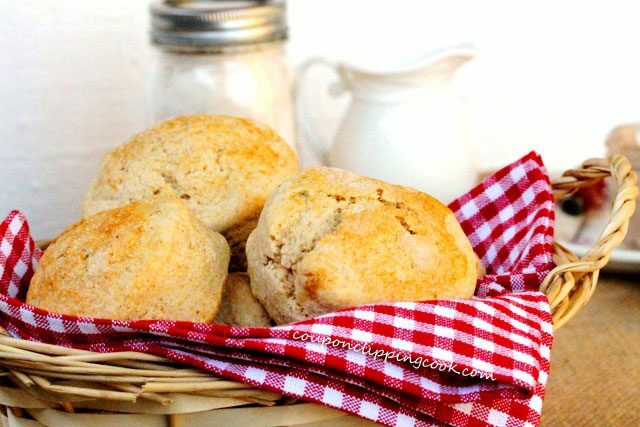 Biscuits are so good for breakfast or served with lunch or dinner. They can add so much to a meal too. 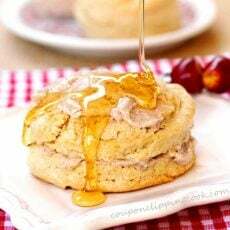 Like in this breakfast, or breakfast for dinner recipe, “Skillet Biscuits with Sage Sausage Gravy“. 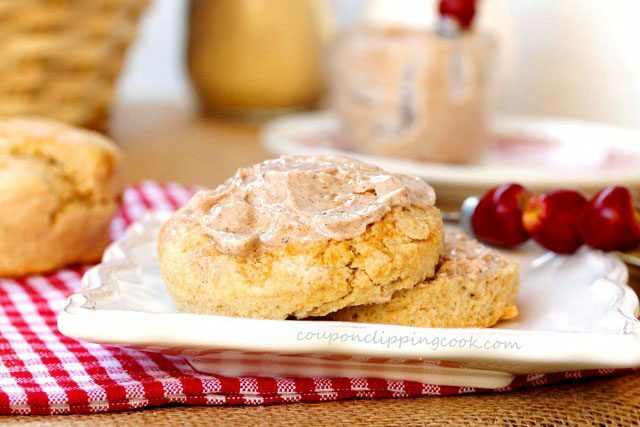 And they even make wonderful desserts like this tender flaky recipe “Snickerdoodle Skillet Biscuits” or “Sugar Coated Biscuit Strawberry Shortcake“. really good. 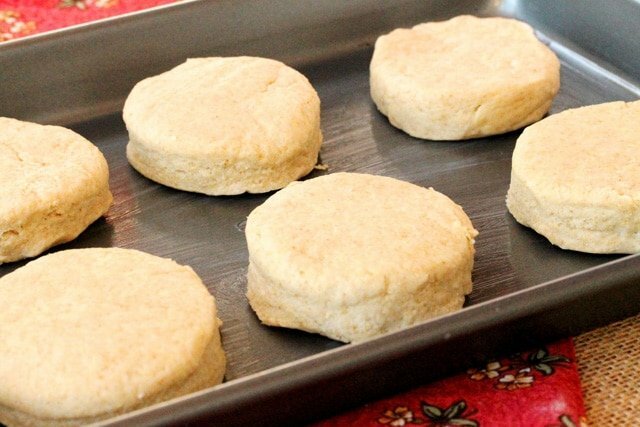 Homemade biscuits are easier to than you might think to make. 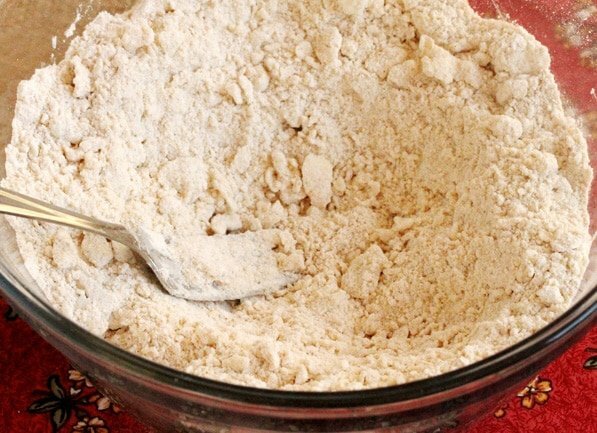 All you need to do is add the ingredients in a bowl, mix, shape and bake for 15 minutes. Presto….scrumptious biscuits at your fingertips. 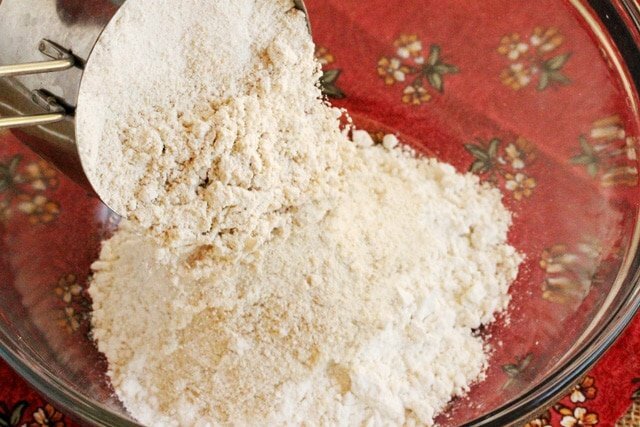 This recipe includes all-purpose flour, wheat pastry flour and shredded butter. 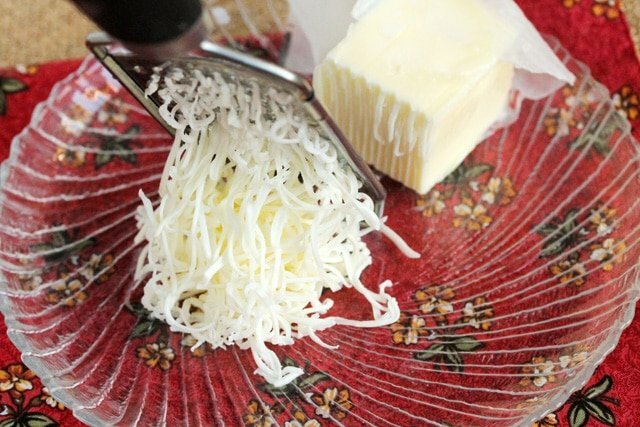 The butter needs to be very cold and then it’s shredded using a cheese shredder (or grater). Shredding the butter is helpful when cutting it into the flour mixture so the butter isn’t in big lumps. 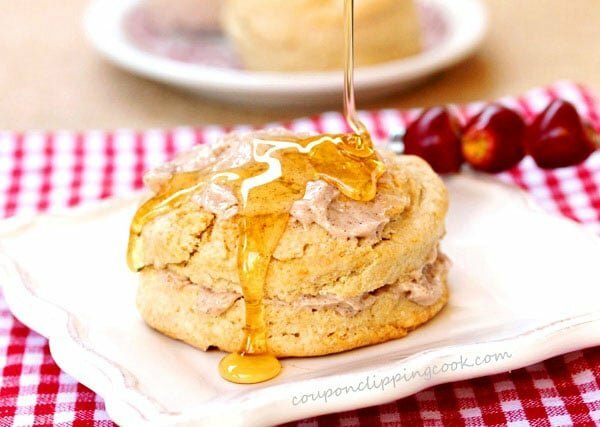 Biscuits are one of those recipes that can be made with ingredients right out of the pantry and perfect for when biscuit cravings crop up right out of the blue. In this recipe, the ingredient that may not be a regular pantry item is wheat pastry flour. Since I don’t use pastry flour too often, I buy it from a farmer’s type market that sells it in bulk bins. That way it’s nice and fresh when I buy it for a recipe and I don’t have to pay a lot for a larger package that may go unused. 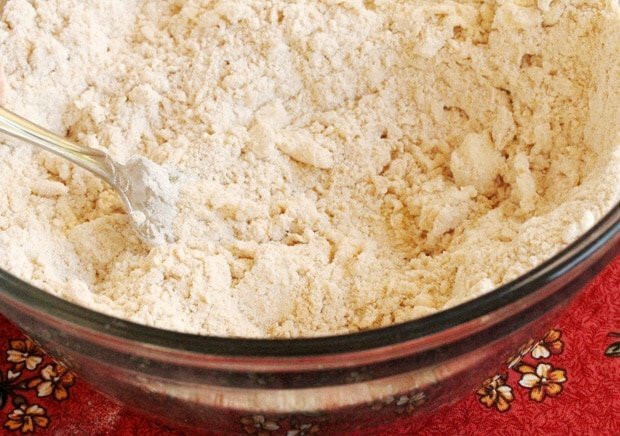 To a medium size bowl, add all-purpose flour. 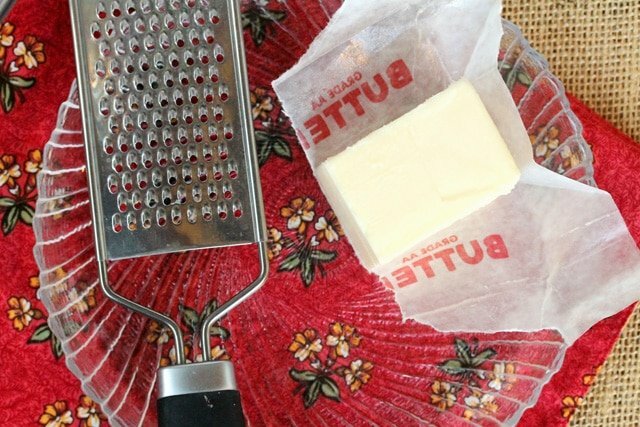 using a cheese grater, shred the butter (the butter must be as cold as possible). Add the shredded butter to the bowl. 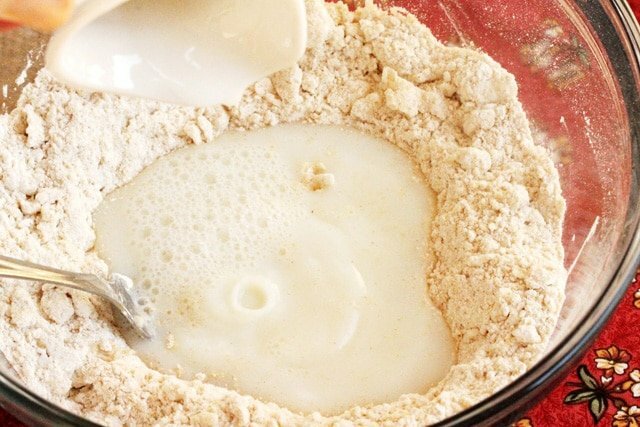 stir the flour mixture into the milk, until a dough forms. 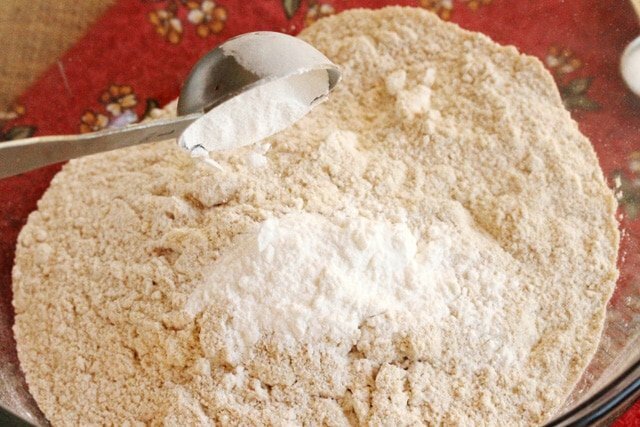 Sprinkle a light dusting of flour on a cutting board. Transfer the dough to the cutting board. I got a little carried away with “lightly dusting” of flour on the cutting board part…I must have been day dreaming. Don’t be like me and put too much flour on the cutting board. 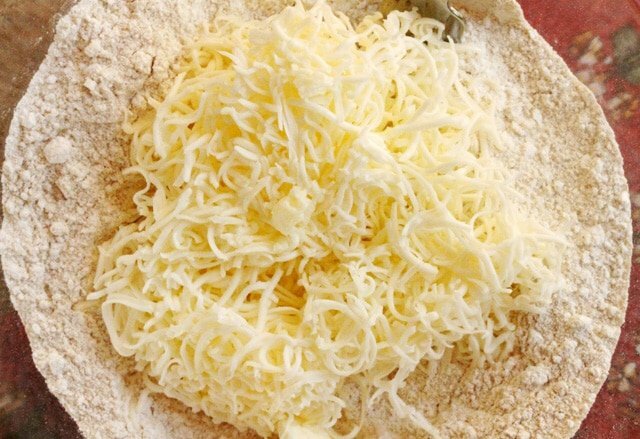 Knead the dough a few times then roll it with a rolling pin so that it’s about an inch thick. 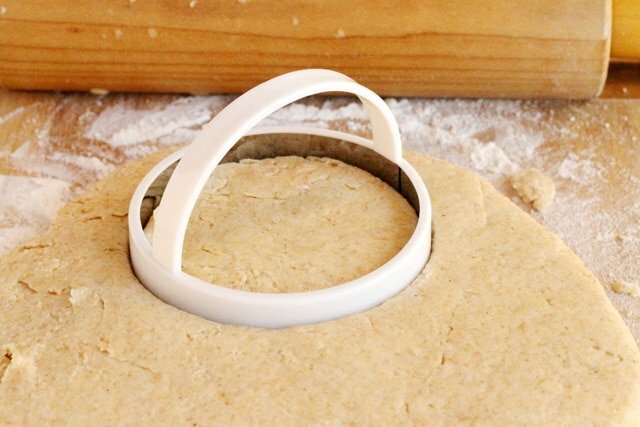 Cut the dough into rounds with a biscuit cutter (or an upside down drinking glass). 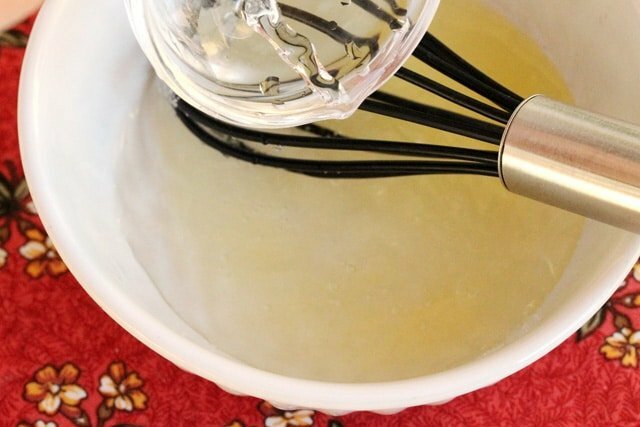 Grease a cookie sheet or baking pan with butter. 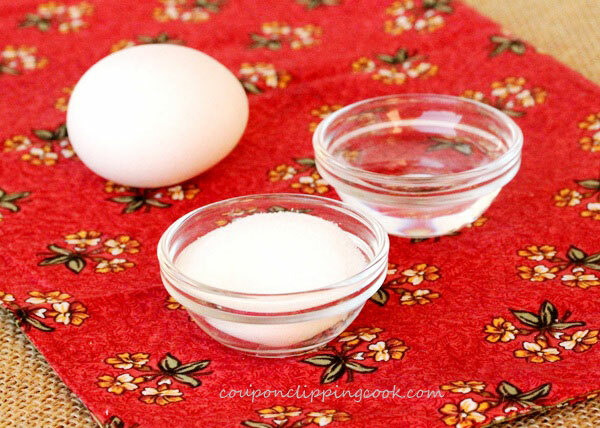 Add the biscuits to the baking pan and set aside for just a moment while making the egg wash. In a small bowl, add the egg white. Discard the yellow egg yolk. 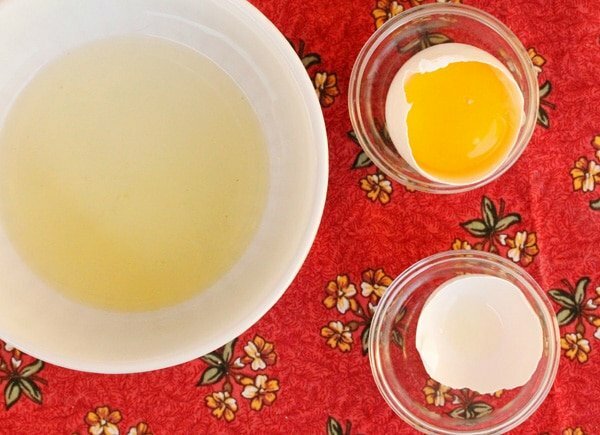 TIP – Separate the egg white from the yolk by cracking the egg in half, and slowly tilting the half of the egg with the yolk in it toward a small bowl so just the egg white pours out. 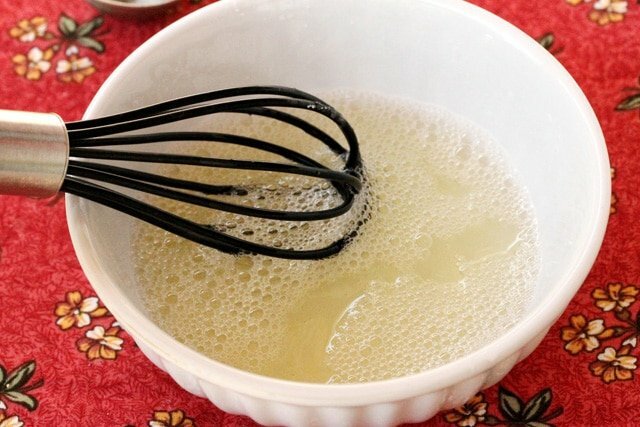 Brush the egg wash over the top of the biscuits. 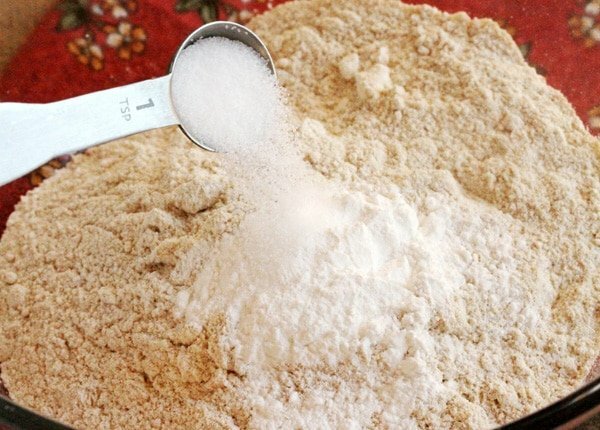 Sprinkle sugar on the top of each biscuit. 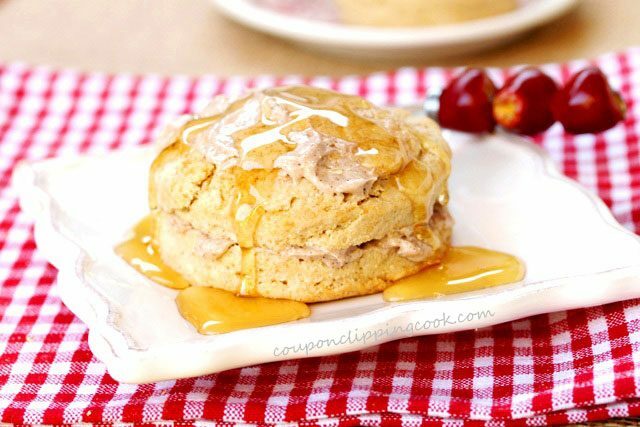 Bake until the tops of the biscuits are a light golden color (about 12 to 15 minutes). 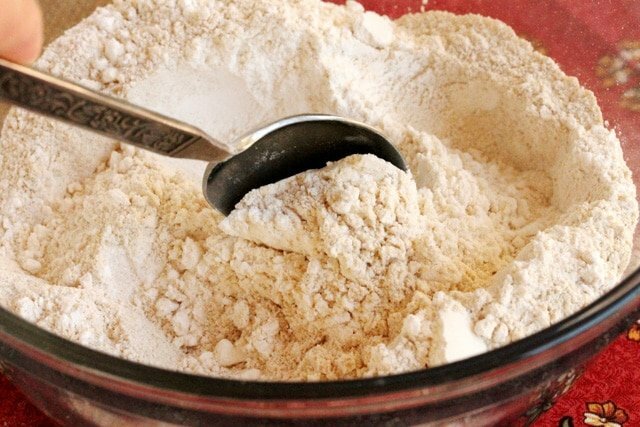 In a medium size bowl add all-purpose flour, pastry flour, baking powder, and salt. Stir together. 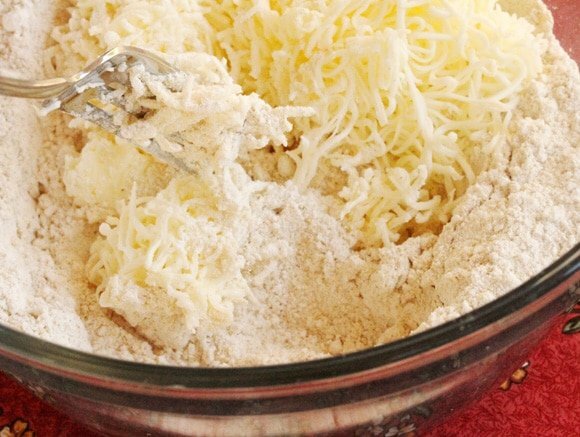 Shred the butter with a cheese grater (the butter must be as cold as possible), and add to the bowl. 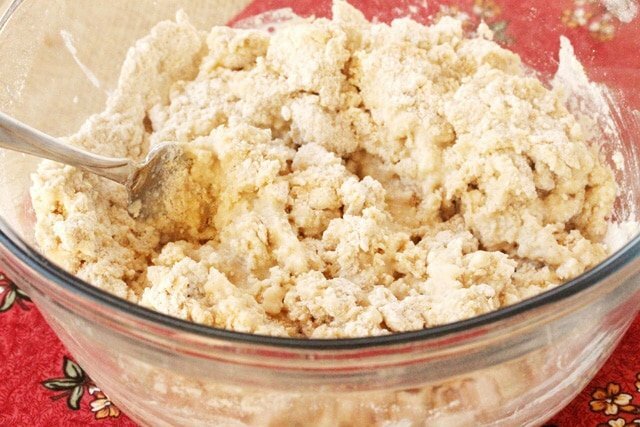 Using a fork, cut the butter into the flour mixture until crumbly. Form a well in the middle of the bowl, and add the milk. 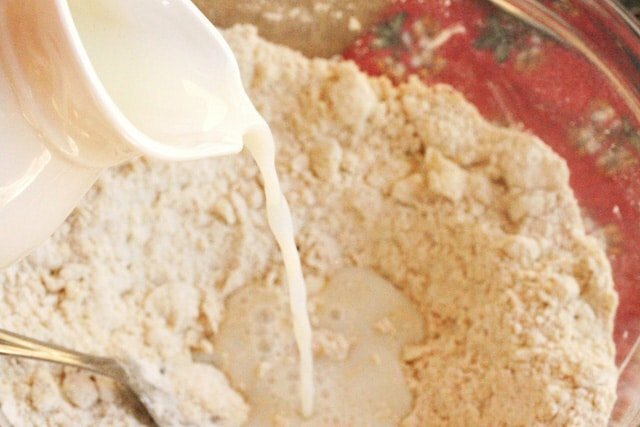 Stir the flour mixture into the milk until a dough forms. 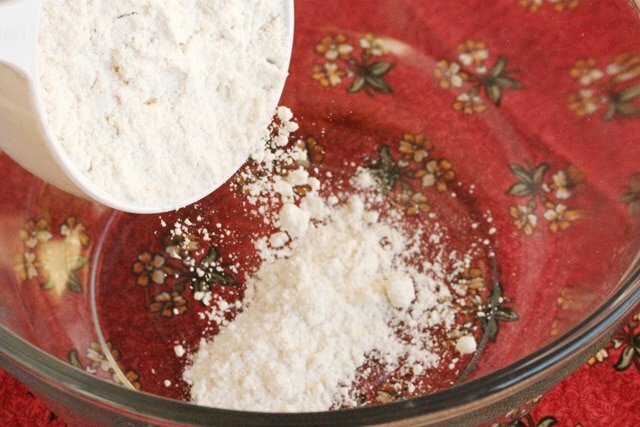 Sprinkle a light dusting of flour on a cutting board. Transfer the dough to the cutting board. 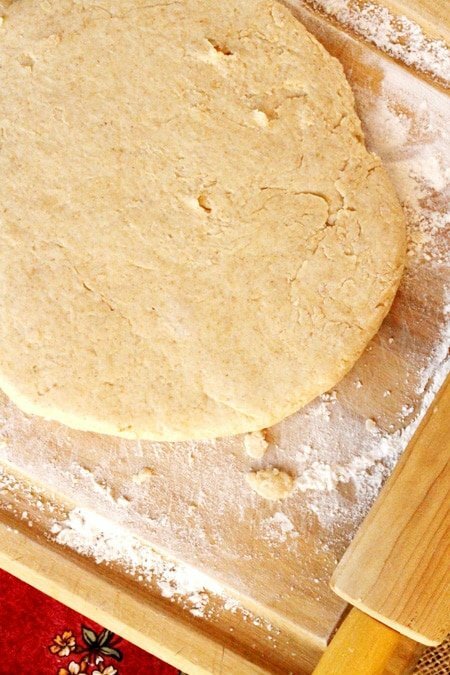 Knead the dough a few times then roll it with a rolling pin so that it’s about an inch thick. 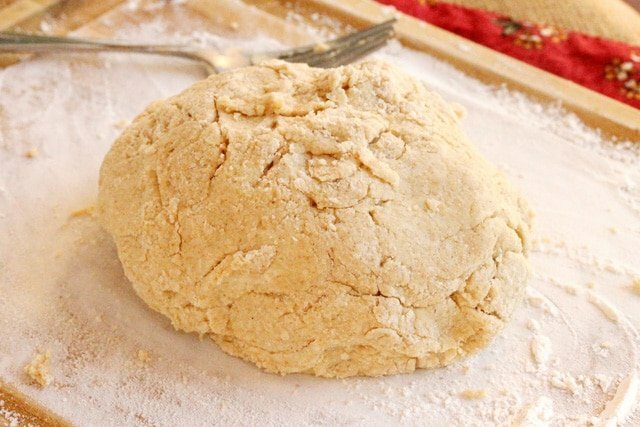 Cut the dough into rounds with a biscuit cutter. 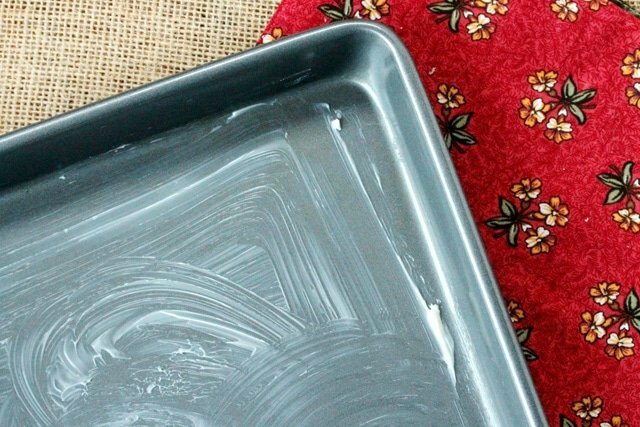 Grease a cookie sheet or baking pan with butter. Spaced out evenly, lay the biscuits on the baking pan and set aside for just a moment while making the egg wash.
For the Egg Wash: In a small bowl, add the egg white (separate the egg white from the yolk by cracking the egg in half, and slowly tilting the half of the egg with the yolk in it toward a small bowl so just the egg white pours out). Discard the yellow part of the yolk. 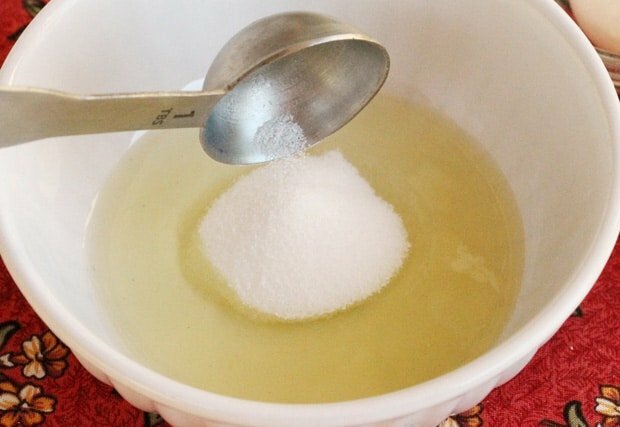 To the bowl, add sugar, water, and whisk together. 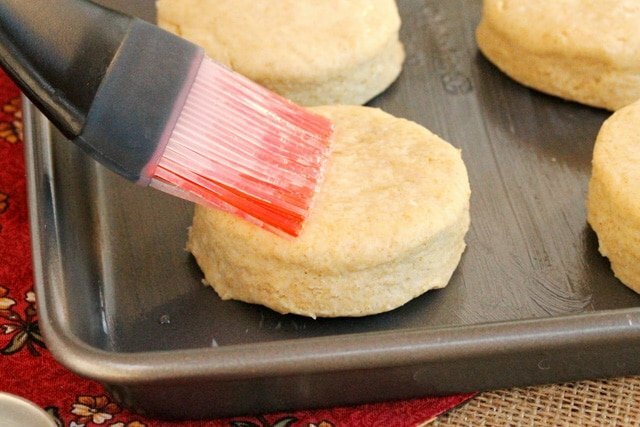 Brush the egg wash over the top of the biscuits. 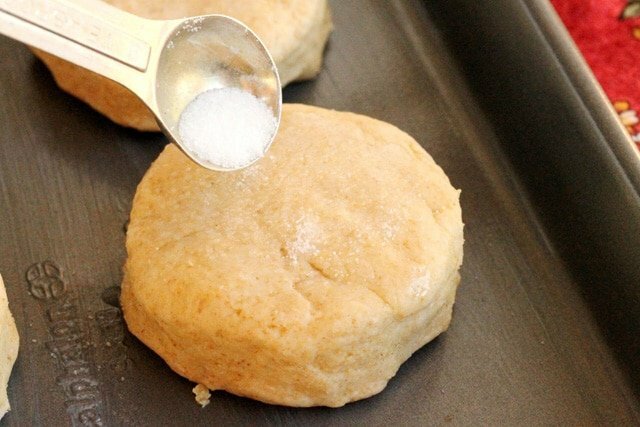 Sprinkle sugar on the top of each biscuit. 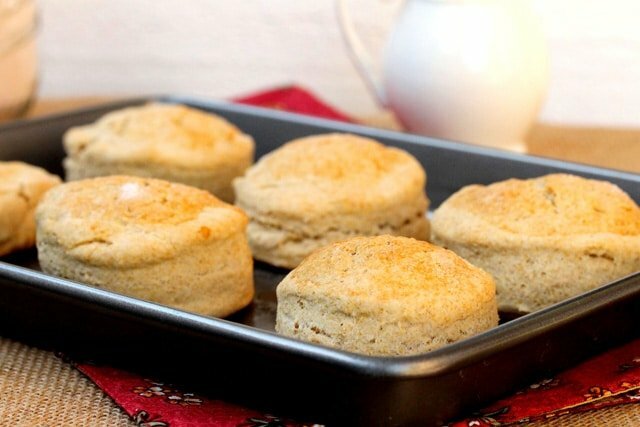 Bake until the tops of the biscuits are a light golden color (about 12 to 15). 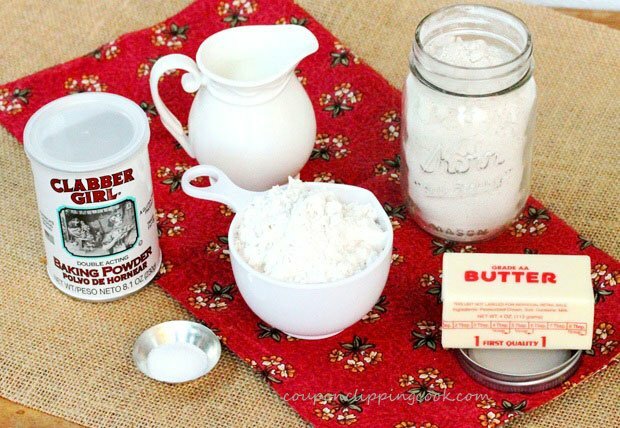 Serve warm with butter or delicious Apple Cinnamon Toast Butter or honey. 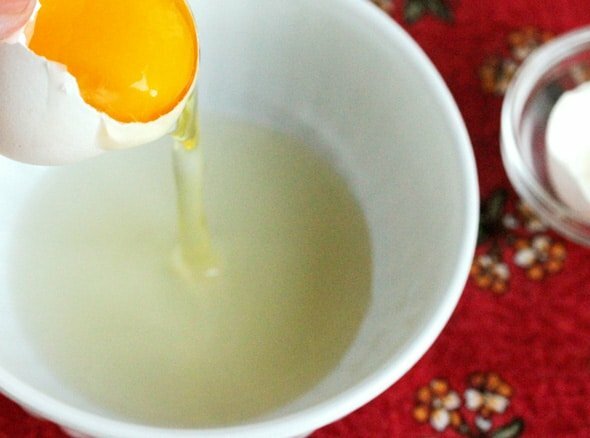 Separate the egg white from the yolk by cracking the egg in half, and slowly tilting the half of the egg with the yolk in it toward a small bowl so just the egg white pours out. This recipe was originally published on September 18, 2012. I saw these on Tasty Kitchen and had to come over for a look. YUMMY!! Hi Tara, thank you for stopping by! These look great! I usually try to eat whole wheat over white on any baked good, yet these look way better than all of the store-bought stuff. Thanks for the recipe and great photography. Hi Mark, I know what you mean. I try to eat whole wheat too over white when I can. Thank you for stopping by and have a great day.